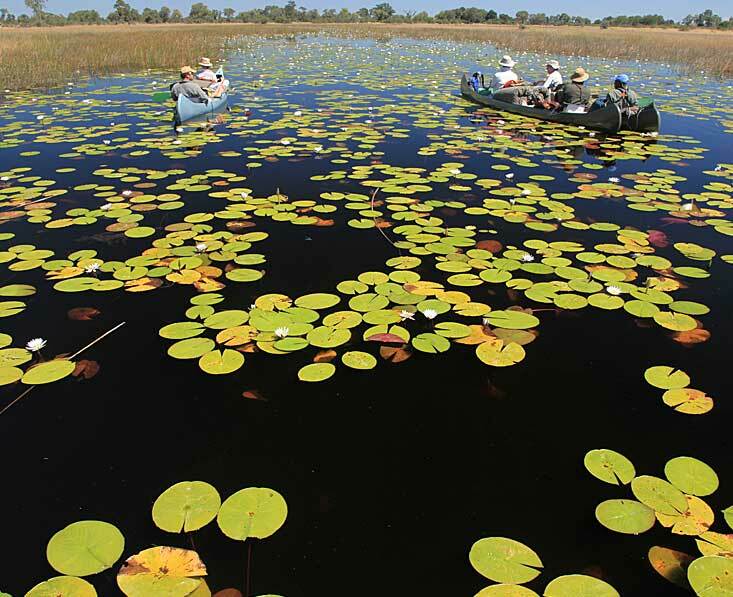 The Linyanti is a beautiful pristine area in northern Botswana to the west of Chobe. It is much less visited than Chobe and the Delta, making it quite an exclusive gameviewing area, and the wildlife here can be amazing. 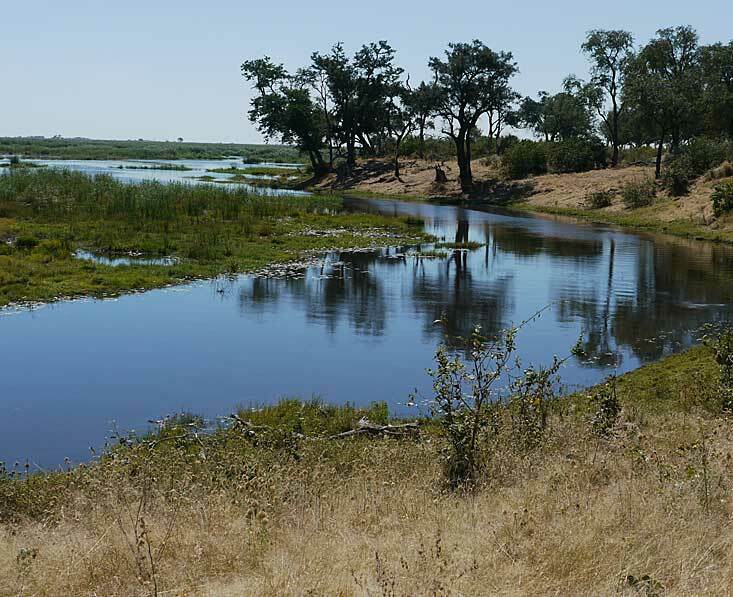 The diverse habitats include open grasslands, riverine forest of jackalberry and sausage trees, mopane woodland and of course the river on the northern boundary which forms lagoons and marshes. The Linyanti River actually starts as the Kwando River, with the water coming in from Angola, and further east it turns into the Chobe River. These western Linyanti reserves hold some of the first permanent water sources of the rainy season. 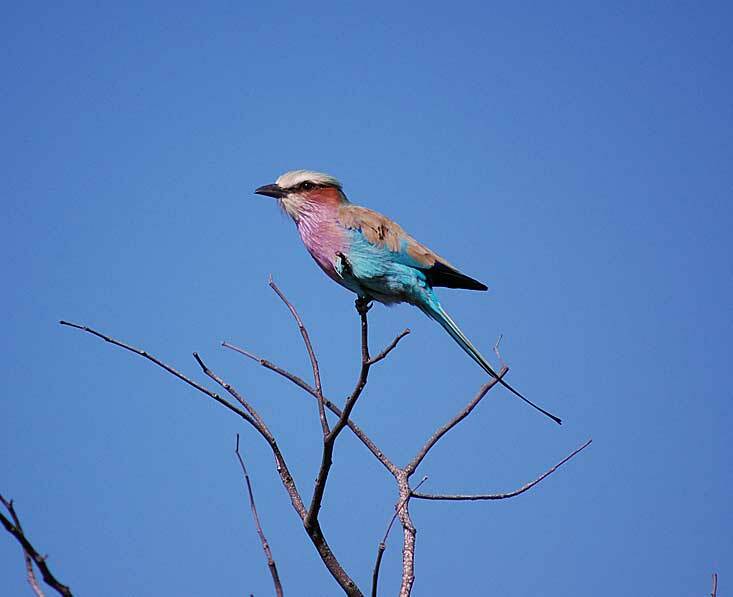 As well as being favoured by hippos, crocodiles and many species of birds (including carmine bee-eaters which nest in the riverbanks in the green season), the area pulls elephants, zebras, sable, roan antelope and a lot of other wildlife species. Because of the good numbers of plains game, predators are widespread here, so your chances of seeing lions, leopards, cheetahs and even wild dogs is high. 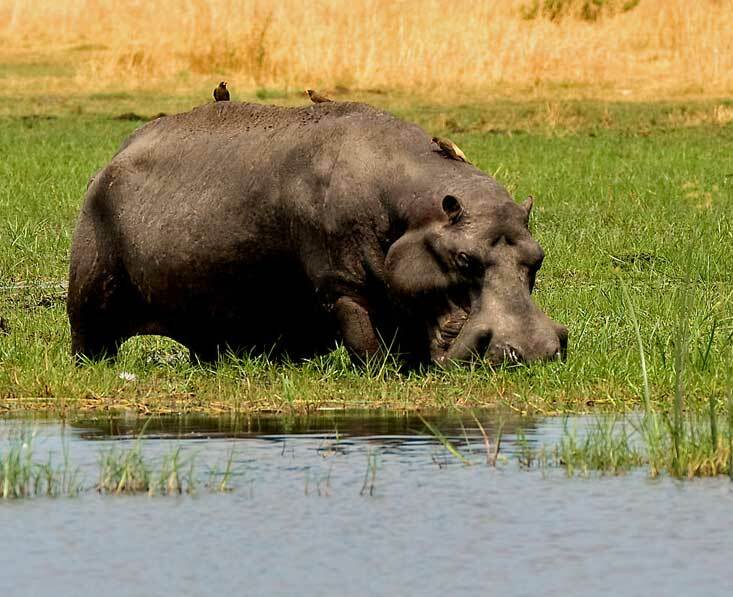 The huge Linyanti region has 3 private concession areas – Linyanti Wildlife Reserve, Selinda Reserve and Kwando Reserve – and also 1 public sector, Chobe Enclave, which is part of Chobe National Park but to which only one operator has access and camps (so it is in effect private). The furthest west and north of the three private reserves, Kwando has two camps (Lagoon Camp and Lebala Camp) within its borders. 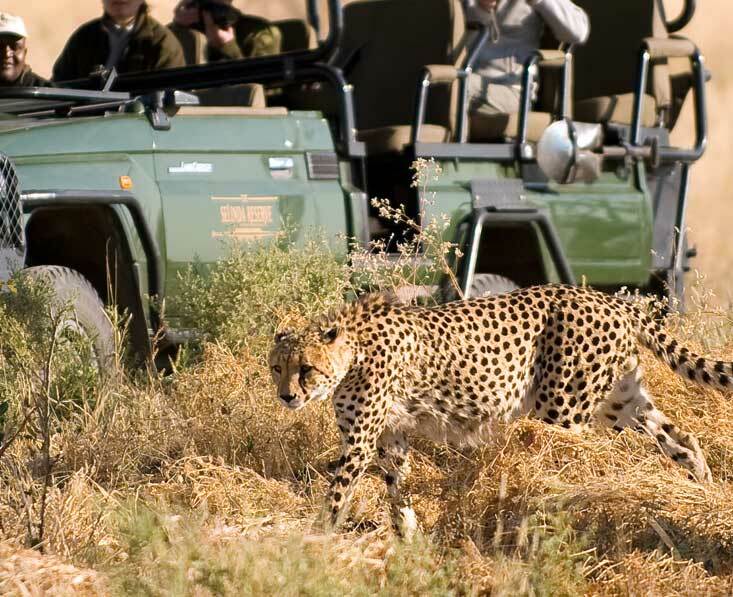 Run by Kwando Safaris, both camps are excellent quality, and the game experienced offered here is one of the best in Africa. 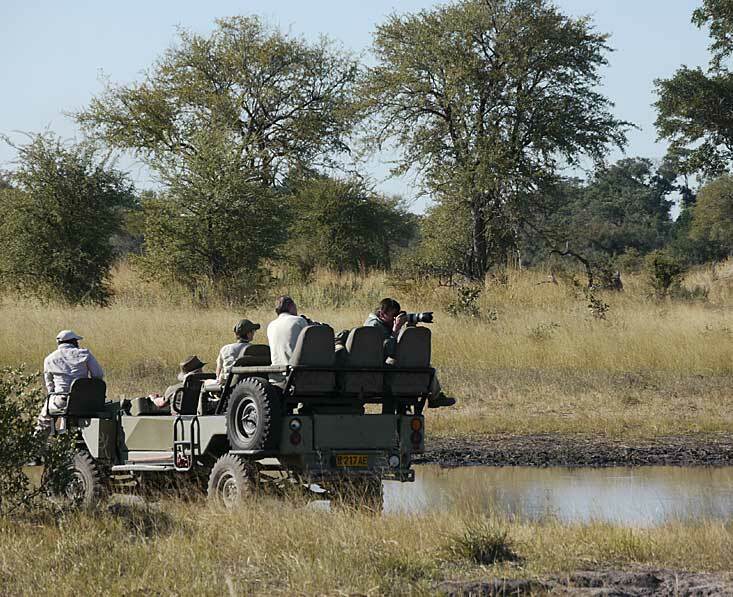 This is partly down to the system of using a driver-guide and also a spotter on each game drive. The teams go out of their way to track the species you’re really keen on finding. Kwando Reserve is one of the best places to see wild dogs in Africa. They could be found at any time of the year, though you tend to increase your chances of success if you visit when the dogs are denning or have just had the pups. Whilst this could happen at any time, most dogs tend to den from around May/June, so from then until about September/October is best. Camping next to a river bed and watching a herd of 28 elephants from young to old on the other side of the river. The elephants drank, played in the river and we watched them from the other side for 1.5 hrs. We couldn’t believe we were there watching them – what an amazing experience which we will not forget! 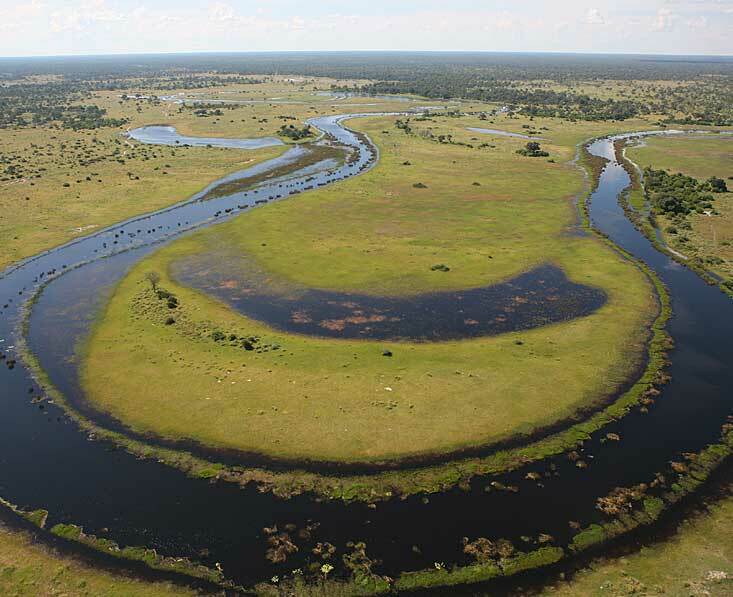 The Selinda Spillway links the Okavango Delta to the Linyanti. This is where you find the small 320,000 acre private reserve of the Selinda, just south of Kwando. The reserve was made famous particularly through the National Geographic films of Dereck and Beverly Joubert, including one about the hippo-killing lions of the Selinda. It also has some of the most eco-friendly lodges in Africa (especially award-winning Zarafa Camp). The Selinda Spillway didn’t flow for many years, but began again in 2009. 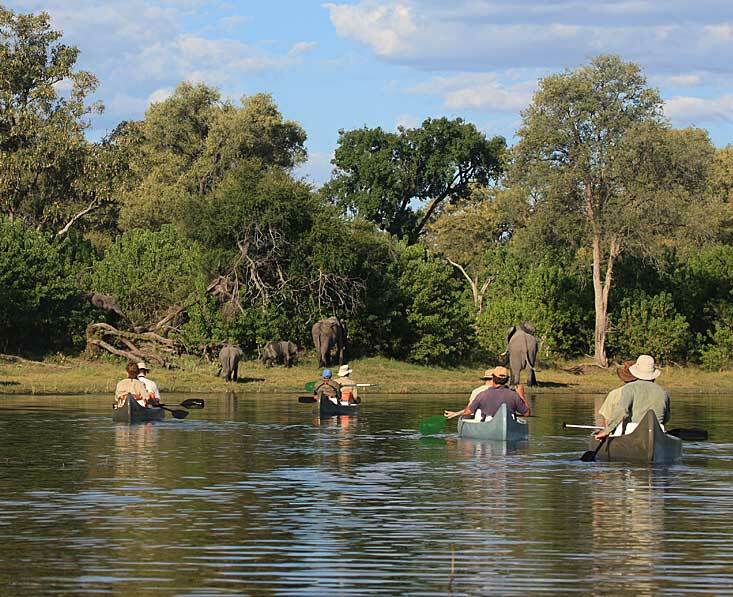 Since then it’s been possible to offer truly amazing and exciting seasonal canoeing safaris on the Spillway. The 45km long Selinda Canoe Trail is a unique experience to this reserve, and one which we’d hugely recommend if you like a bit of adventure. Take a look at the 4-night itinerary. The Linyanti Wildlife Reserve is a private concession area of 1,250km2 bordering the Linyanti River in the north and Chobe National Park in the east. It is the most visited of the Linyanti concessions, but has very few lodges so it’s never packed and you’re assured of a much more private experience than in Chobe. From some of the lodges here you can take drives down the Savuti Channel too. Chobe Enclave is actually part of Chobe National Park, and yet only visitors staying at one of the camps here (Linyanti Bush Camp, Linyanti Ebony Camp, Saile Tented Camp and Footsteps Across the Linyanti) are allowed into this area. As with all the Linyanti, the best time to come here for big game is in the dry season (May to October) as this is the time that the elephants come and frolic in the waters here, and sitatunga, sable, roan and red lechwe are all here, keeping an eye out for the lions, leopards and wild dog.